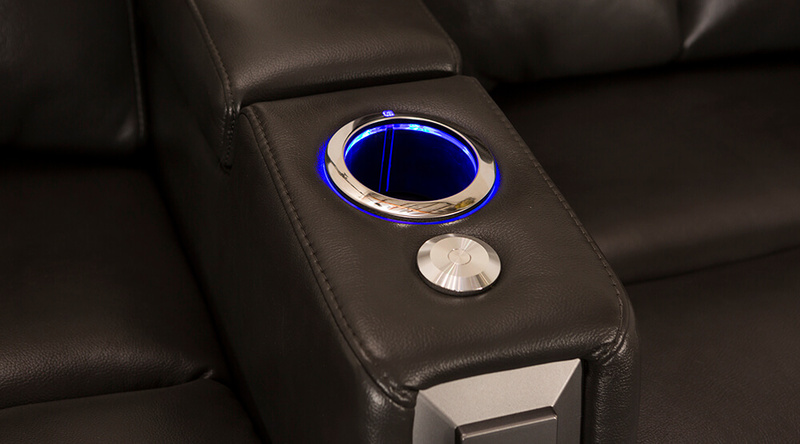 Seatcraft Seville Media Seating provides a new dimension of comfort. 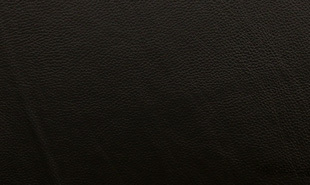 These chairs are constructed from Leather 7000, which is painstakingly hand-picked from the top third of all hides, and then buffed to a smooth perfection that highlights a smooth texture, luxury appearance and even a distinct aroma. 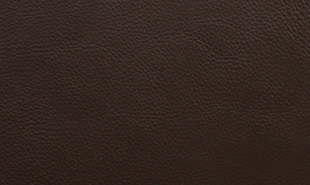 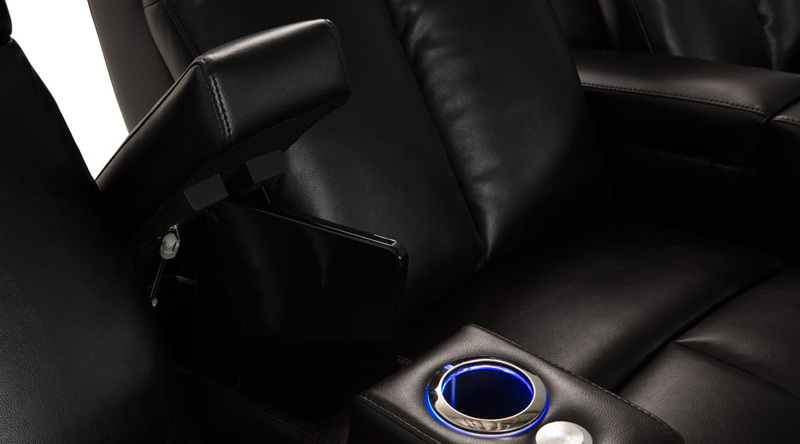 The design of these seat backs feature a sleek vertical split and padded headrests, for a contemporary look. 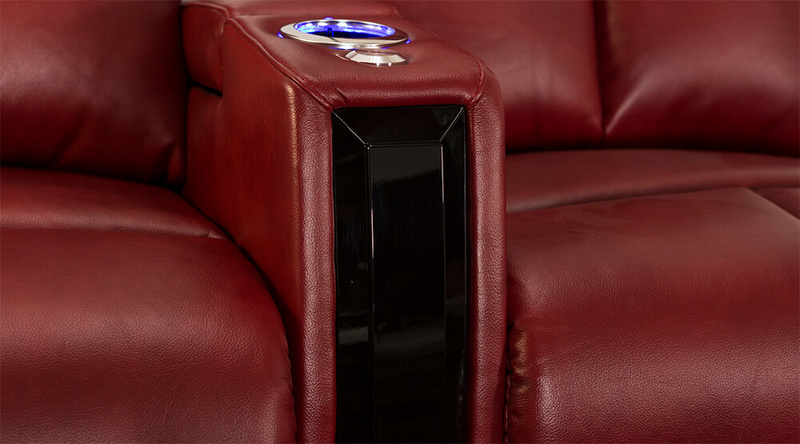 Cherry-inlaid accents on the armrests add a touch of natural looking elegance. 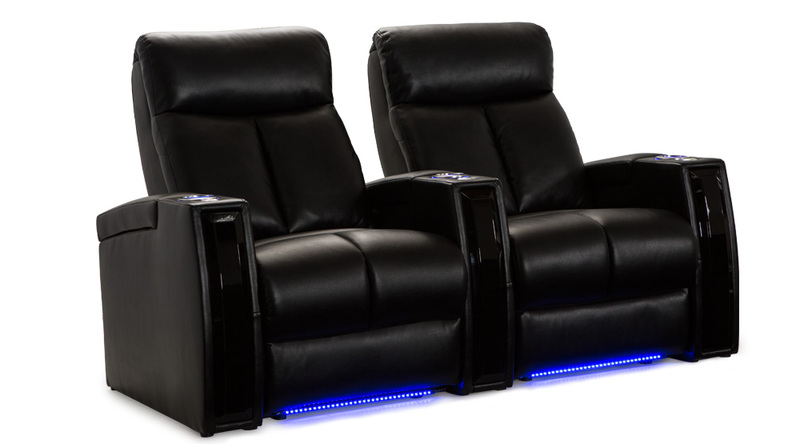 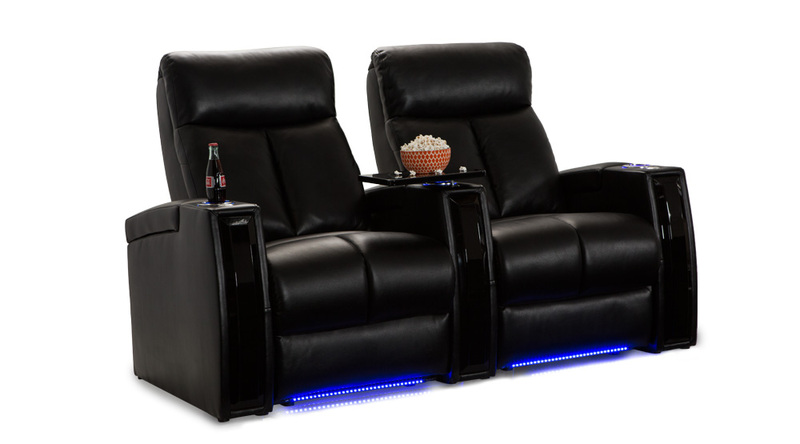 Power recline allows you to stretch to any desired position at the press of a button, while a full chaise lets you recline with a firm buttress of support to the legs and feet. 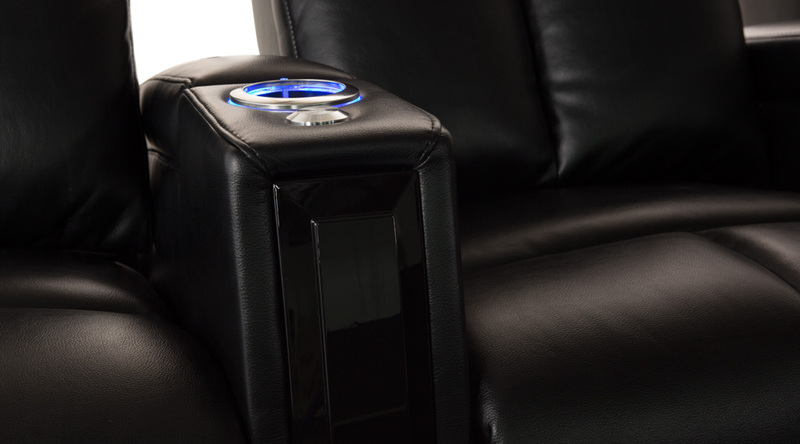 A USB station next to the power switch lets you charge cell phones and laptops with ease. 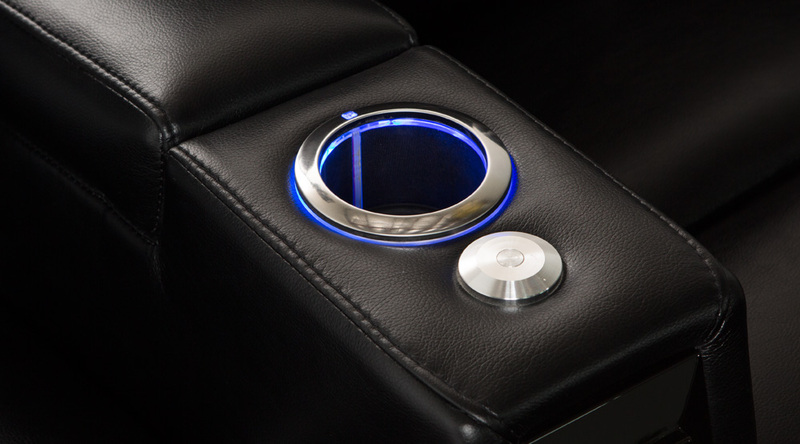 Azure blue lighting forms a ring around each cup holder, so that beverages are secure and easy to spot. 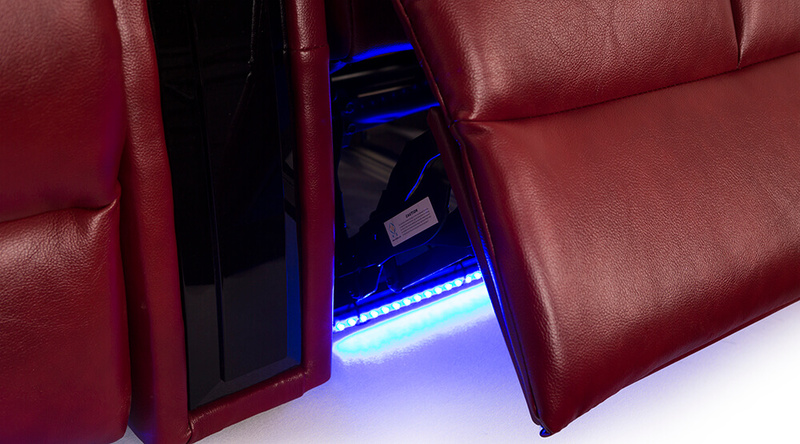 Meanwhile, ambient base lighting also ensures that guests find their seats. 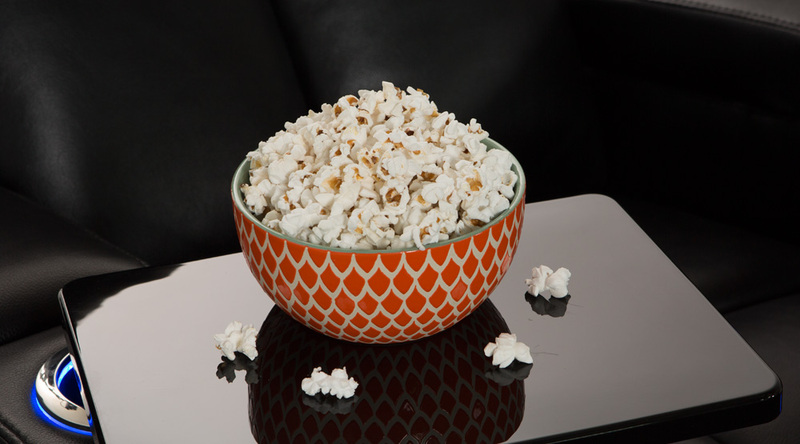 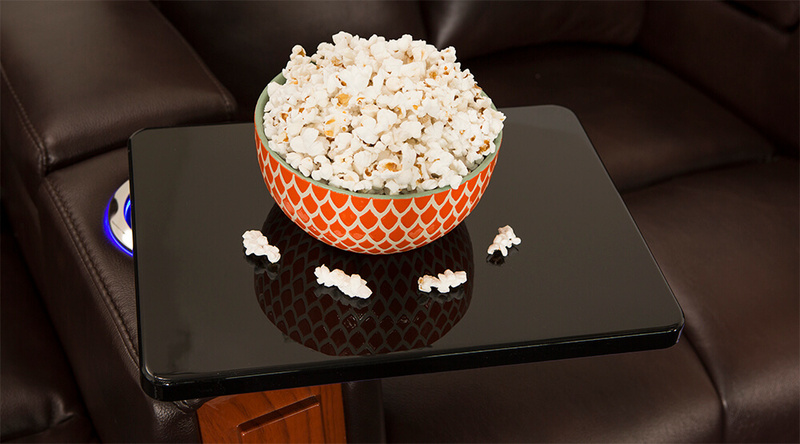 In-arm storage compartments provide a helpful place to store snacks, remotes, and other essential items after use, making clean-up a breeze. 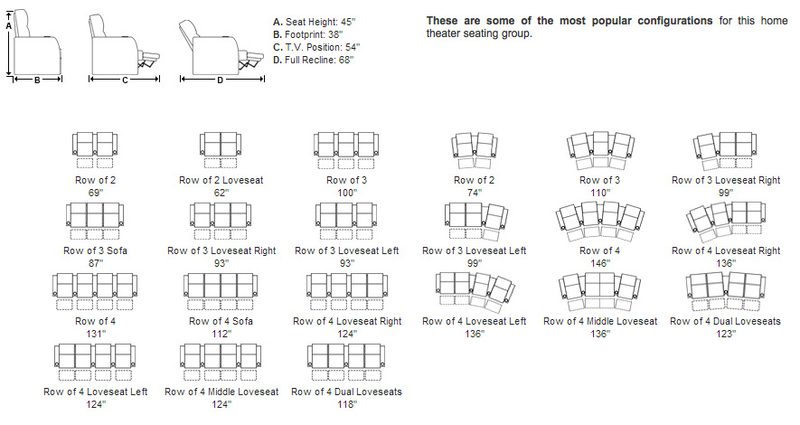 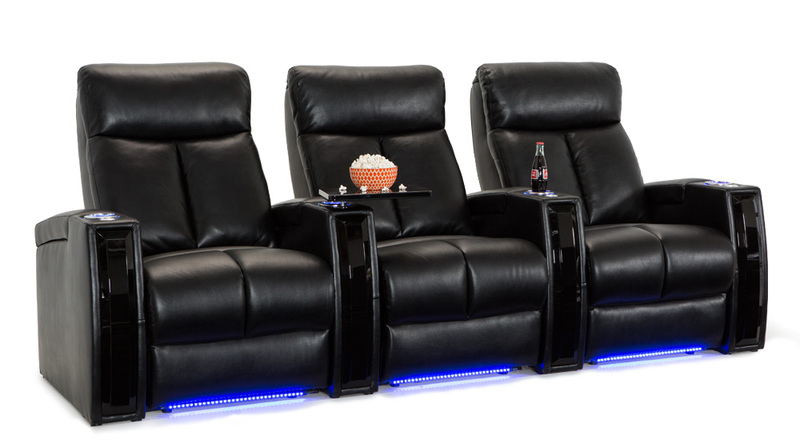 With this many highlights, the Seatcraft Seville Media Seating will make a superlative centerpiece to any room. 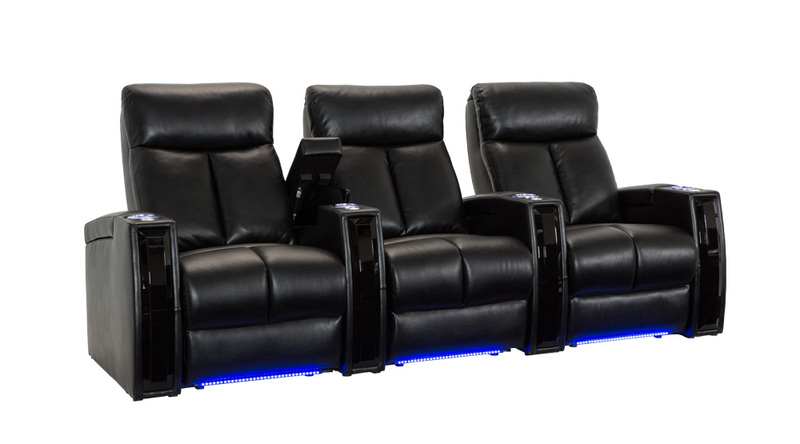 This home theater seat has a beautiful cherry accent inlaid in each armrest, that pleasantly contrasts with the primary color of the seat.